TACLOBAN CITY- The year 2018 is turning out to be a fruitful year for the city of Tacloban. 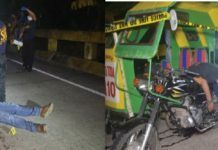 Thus said City Mayor Cristina Romualdez, citing several awards and citations garnered by the city government. “I thank the Lord for the many blessings we got and the trials we went through. Despite the many challenges Tacloban City went through the years, the local government of Tacloban garnered various awards and recognitions as the only highly urbanized city in region 8,” she said. 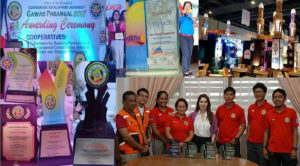 Under Mayor Romualdez leadership, the city of Tacloban has received various recognitions from agencies as partner to urban development, to mention some: Cooperative Development Authority (CDA)- Gawad Parangal 2018 “Hall of Fame Award”, as the champion in cooperative best practices; garnered 1st place award for three successive years as the best performing LGU Cooperative Development Office (in recognition for the increasing support in building a cooperative community & empowering coops through development programs). And three other CDA awards as national nominee to the CDA Parangal Award; 1st place as best performing LGU Cooperative Office HUC Category and Gawad Parangal special citation award given to Mayor Romualdez as the LGU Cooperative Development Champion all awarded during the CDA Gawad Parangal Awarding Ceremony 2018 held October at Novotel, Manila. Also judged twice for two consecutive years as the best dressed booth during the 28th and 29th Philippine Travel Mart (PHILTOA) held at SMX Convention Center, Manila Mall of Asia Complex, Pasay City. The booth was designed and created by the Guarino brothers. Tacloban City likewise bagged the 1st place to this year’s 20th Regional Gawad Kalasag Best Government Emergency Response Management Urban Category held July 31, 2018 at the Summit Hotel, as part of the disaster awareness month and in recognition to the outstanding contributions rendered in disaster risk reduction and humanitarian assistance. Last October, Housing and Land Use Regulatory Board (HLURB) approved the City’s Comprehensive Land Use Plan 2017 to 2025. Tacloban city government was one among the region’s 2017 eligible city on child friendly local governance best practices and lessons learned on children’s rights. 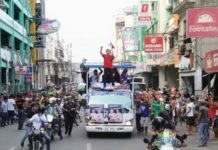 The city government under Mayor Romualdez established its Sto. Niño City Hall Satellite Office extending basic services to dwellers of the northern barangays of the city aside from the main City hall Offices and the Supermarket MASA offices. Fish ports were upgraded as newly- installed supermarket building located along Quezon Boulevard provides stalls for fish and vegetable/fruit vendors. And a ‘Triple A’ slaughterhouse at Brgy. Salvacion will replace the old slaughter house of the city soon. Out of the 14,000 units needed for socialized housing, 80% of the houses were awarded to survivors of Yolanda by the National Housing Authority. Biddings likewise are underway to put a water supply system for Yolanda Resettlement sites and pipeline rehab replacement in some parts of the City with the present administration support. According to Mayor Romualdez, the solid waste management program, once implemented in the barangay level, will give a potential source of income for them. Every barangay of the city will now focus more on materials recovery and recycling. Recently the city has awarded 52 garbage collector pedicabs to pilot barangays in the collection of segregated waste materials. Pilot barangays initially are tasked to collect and segregate garbage disposals to its materials recovery facilities (MRFs).